This card puts Discover squarely in the mix of a competitive travel cards market. Double Miles in the first year make this a compelling travel credit card, as do the generous rewards program and cutting routine fees. Any credit card issuer worth its weight in plastic has at least one travel credit card on offer. As its name implies, Discover it® Miles is Discover’s entry in that large and busy market. It’s a card that, if cleverly utilized, can reap quite a lot of Miles for certain types of cardholder. Savvy and ambitious travelers using the card can take advantage of a big bonus to score free travel. Ready to fly away? Then read on for more about Discover it® Miles. Double Miles in the first year -- The issuer will match 1-for-1 all Miles you’ve earned in the first year of ownership, as a big one-time bonus. This effectively doubles your earnings in the first year. No annual fee -- Many popular travel cards charge this once-per-year fee. Discover it® Miles isn’t one of them. 1.5 Miles per $1 -- All purchases earn at this rate, no exceptions. 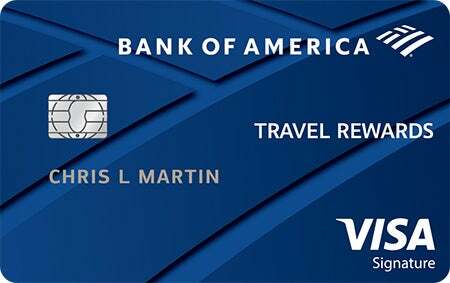 Earned Miles also never expire and they stay in your account as long as you hold the card. 0% intro APR period for purchases for 14 months -- This is a relatively generous intro APR period, allowing new cardholders to fund big purchases without interest (assuming they pay these off within the 14 months). After the promo, the go-to variable rate applies. No foreign transaction fee -- The better travel credit cards axe this traditional charge, which tends to hover around the 3% mark. Which is good because this could add up; assuming you fund your trip exclusively through a fee-charging card, $5,000 in spend would generate $150 purely in fees. FICO® Score for free -- Discover makes it easy to monitor your credit profile, including a FICO® Score for free. This is easily accessible via Discover’s app or online account management portal, plus it’s printed in every statement. From the start of my career I’ve written thousands of articles and analyses on nearly every imaginable business topic. This includes coverage of the best credit cards, and many that aren't. On top of that, I have plenty of personal experience as a credit card user. I’ve been a cardholder in good standing of six credit cards divided between two issuers (Chase and Bank of America), and covering all three major card brands (Visa, Mastercard, and American Express). 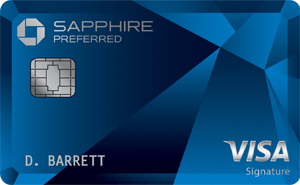 0% intro APR for balance transfers -- The card could benefit by rounding out its 0% intro APR offer for purchases by also including the same for balance transfers. While rare in the travel category, we can always wish for the best perks in one card. Travel insurances -- Cards from other brands, notably Visa and Mastercard, typically come with a set of travel perks and benefits like car insurance and coverage for lost/damaged luggage. Discover it® Miles lacks many of these extras. Discover would like to see good and excellent credit in its applicants for Discover it® Miles. In terms of the FICO® Score, an applicant should have a figure of 670 to have high approval odds. Worth noting, not all applicants with a higher score are guaranteed approval, nor are people with lower scores likely to always be declined. The suggested minimum score is one of many factors used in the underwriting process. If you’re considering a travel credit card, most likely the key reason is that it offers the opportunity to earn free travel. The idea is very seductive; use the card for purchases, rack up rewards Miles, then book that dream vacation you’ve always wanted. In a way, this makes evaluating the merits of the many travel cards on the market easy. Can you earn Miles on them quickly? Do they have a big intro Miles bonus when you spend a certain amount of money off the bat? Flat-rate rewards cards -- Every purchase, no matter in what product/service category, earns Miles at the same rate. Bonus rewards cards -- Purchases in certain categories -- mainly travel, although not always, and sometimes with caveats -- earn Miles at elevated rates. There are pluses and minuses to both. The flat-rate cards won’t dump a lot of Miles into your account at once with a strategic purchase, but they will earn at a steady and predictable rate. Flip those two factors, and you’ve got the advantages and disadvantages of bonus rewards cards. Choosing between these types depends on what kind of consumer you are, broadly speaking. If you’re a dedicated traveler that spends money constantly on the activity -- either for work or pleasure -- you might be better off with a bonus reward card, particularly one with elevated rewards for travel. If you’re a more general consumer, you’re probably more suited to a flat-rate card. One nice thing about flat-rate rewards cards is that they require no planning and strategizing about bonus categories. Whatever you spend money on with the card, you’ll earn the same 1.5 Miles per $1. Now, travel cards are effective earners if you have only a few, or even just one of them. Spreading your earnings among several will take that much longer to result in a tally high enough for a subsidized flight. If Discover it® Miles is that card for you, use it as often as possible for purchases without raising your credit utilization too high. What will help greatly is the Mile-for-Mile matching program at the end of the first year of ownership -- a potentially massive and quite atypical initiative in the travel card segment. Combined with frequent spending on the card, this program can put you over the top and then some for Miles-funded travel. Discover it® Miles is a leading travel card that's worth comparing to other leading travel cards on the market. Bonus: 25,000 online bonus points when spending at least $1,000 in purchases in the first 90 days of account opening Bonus: 60,000 points after spending $4,000 on purchases in the first 3 months. Worth $750 redeemed for travel through Chase's portal. Rewards Program: Unlimited 1.5 points per $1 on all purchases Rewards Program: 2x points on travel and dining, 1x points on all other purchases. 25% more points for travel booked through Chase's portal. Discover it® Miles is best suited for someone who’s enthusiastic about travel, but for whatever reason doesn’t necessarily spend much on the hobby. He or she should be an active credit card user, though, as the earnings rate for Miles is good, and effectively doubles at the end of the first year of ownership. Those who actively spend money on travel expenses can also be served nicely by this card, although they might be better off with one that has bonus earnings for such purchases. Still, that 1.5 Miles per $1 rate and the Mile-for-Mile matching program can also result in meaningful earnings for this type of cardholder.